If you are passionate about adding an extra depth to your clicks, DSLR cameras are the ones which are known to be doing this job well. But getting the right one for yourself needs a bit of preparation in advance. Get a glimpse on what to see while choosing the right one for yourself. Photographers, whether they are professional or amateur would always look for the best Cameras they can afford. Currently cameras are just there with every mobile phone but for that "picture perfect" you need a camera that isn't doing anything else but capturing the best moments at its best. So the best possible cameras that are winning the best photography awards are mostly DSLR cameras which have gone ahead with Digitizing the pictures while maintaining the right balance of all the factors that make an image displayed at its perfect form. Thus buying a DSLR (Digital Single-Lens Reflex Camera) camera has to be done carefully considering a few facts and not undermining the others. Before DSLRs came into the picture, SLR cameras were dominating the market with the best possible performance and output. But once Digitization took place with every data under the sun, it didn't take much time to usurp the world of images into its shelter. So the SLRs though maintaining their existence, transformed into DSLRs. Though we get mini digital cameras in tiny and compact sizes with a convenience like point and shoot, people for whom photography means something more than simply capturing few moments are keen switch to DSLRs and the reason is obvious, it's the versatility of the images and their quality that gets delivered. Leaving alone the options of different lenses with DSLRs, one gets to handle a huge number of accessories with it like flashguns, battery grips, etc. Moreover a DSLR is made keeping the quality as the first priority. The components are of far higher quality than the point and shoot cameras, with a greater number of controls. While deciding for a DSLR, one has to start with the budget issue as DSLRs are available within a vast price range like $500 to $10,000. After fixing up the amount you can spend upon, next comes the other issues like its weight, portability, make, look and finally the feedback on its performance. Durability is a thing which anyone would opt for, so, let's see beyond these aspects what else do we need to check before we finalize on a model. The first thing because of which people go for a DSLR camera is its lenses. If you are a professional photographer and have the knack of collecting exclusive lenses, it is better to look for a manufacturer which is offering wide range of lenses. 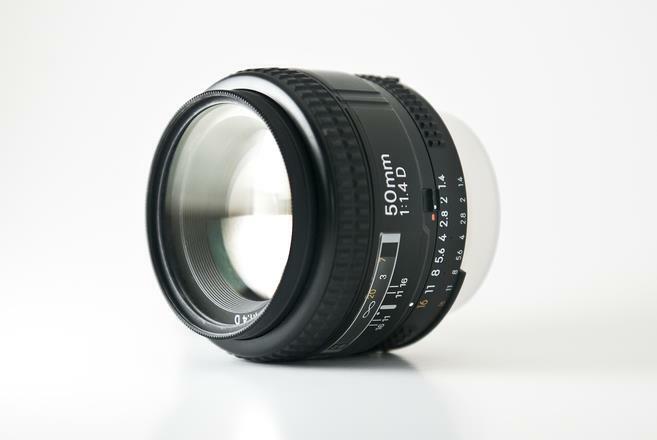 Moreover, if one is in need of specialized lenses like "Tilt and Shift" lenses which are generally used for architecture he has to remember that not all DSLRs are compatible with them. While taking a snap one has to be quick and prompt before the moment passes away. Then it is also a matter of carrying a camera around which demands a little bit of discomfort and one would not want a headache to keep it safe. For an entry-level DSLR, there are models that introduces the user with an on-screen guide and intelligent auto modes to try to help beginners learn how to use their cameras. If you're a complete beginner with DSLRs, then the best entry-level DSLRs are those which have an on-screen guide and intelligent auto mode to help you with its usage. Undoubtedly a DSLR stands different from the ordinary digital cameras because of its advanced photography modes. So while making the choice, one has to keep in mind that as you go higher with the price and efficacy, the features will come with more customization options that would have automatic settings to respond to more variety of situations. And in all these customization, the basic theory behind would be the ability to fine tune the camera to a greater extent. Currently there are two main formats available within the DSLR category. The first one is the Full frame and the second one is the Cropped frame. While the Full frame camera will consist of the same sensor size as a 35mm strip film, a Cropped frame one will have an image sensor which would be much smaller in size. At present, only a few good brands all over the world like Sony, Pentax, and Olympus offer an in-camera image stabilization (IS) feature, which helps in preventing the camera from shaking by steadying the sensor. Brands like Canon, Panasonic and Nikon do offer IS lenses, which are also useful in steadying the camera if one is using a telephoto lens. Speed is also a factor for which professionals go for DSLRs as even the basic DSLRs with the cheapest price will have a faster pace than any ordinary digital cameras. The Entry-level DSLR cameras would generally take a burst of shots with 2.5 or 3 frames per second, in JPEG mode. But there the burst mode speed would be taken in RAW mode. But this shouldn't pose much of a problem for general users, but, for fast-moving actions like sports or wildlife one would need to upgrade to the semi-pro level DSLR models which can shoot at around 12 fps. 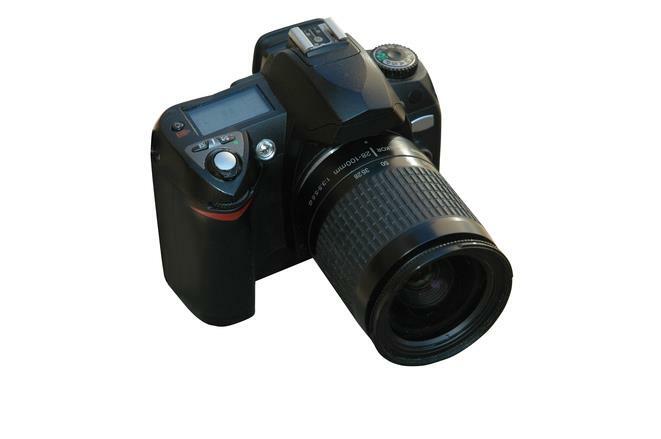 Nowadays HD movie mode has become the common trend in DSLRs, as the quality is guaranteed high. Surprisingly enough this feature doesn't require much professional efficiency, and rather would be fun because of its easy to use mode of working. After checking through all the above said aspects, now it is time to narrow down your choice and make a final decision. So consider your requirements of photographs, their image quality, speed, steadiness and lenses. Check out which of them could be compromised if all of them make it bigger than your budget and take the one which suits your purpose. Finally the one on which you narrow down will be definitely giving you a better photography experience, if this is going to be your first DSLR, but if not, then a Pro level DSLR would certainly do it for you. A definitive guide for those who are looking forward to buy Tablets. The article elucidates a bit about various features, Operating Systems and other informations. Are you shopping for a Pocket WIFI Hotspot device, also called as travel WIFI router? Read this comprehensive buying guide to make an informed decision before you a buy a WiFi hotspot router for you. In today's world where even the professional photographers have been moving to the smartphone cameras (the Lava Pixel V2 ad is a classic example of thus trend). Although expensive ones, it is a welcome attempt at letting us know the importance of DSLRs. Smartphone manufacturers these days have been trying to undermine the quality and importance of a DSLR camera, yet it is a proven fact that no smartphone cameras can replace the DSLR cameras. Thanks Timmappa. We have experienced both, but DSLR images can be identified instantly for their extra dimension and depth, leave alone clarity, quality and beauty of them.